The memoirs of Col. Chewang Rinchen, one of the few Indian soldiers to be twice awarded the Maha Vir Chakra (MVC) are fascinating. He received his first MVC at the age of 17 for saving the Nubra Valley (and Ladakh) from the Pakistani raiders. In the context of China's aggressive posture in DBO area, it is important to read again Rinchen's 'adventures' in the early 1960s. 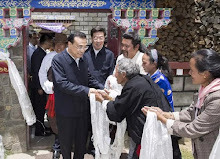 Amongst other things, he recalls (in the third person): "By the middle of 1962, the Chinese had established several posts on Indian territory. 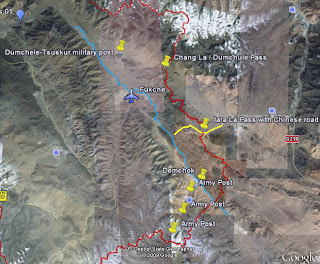 Rinchen's task was to rush from place to place to find out where the Chinese had infiltrated and occupied Indian territory and then to counter-establish an Indian check-post opposite to that of the Chinese. From April 1961 to mid-1962, the number of such posts increased from 13 to 65 although with very poor 'defense potentials'." Rinchen explains: "Beyond that point, he [Rinchen] climbed a small plateau to have a better view of the enemy with his binoculars. Hardly 500 metres away Rinchen could see that the Chinese had established their headquarters in a double-storeyed fort, having two doors and many loop holes. About 300 Chinese were busy making bricks and loading and unloading three three-tonners. The message was immediately passed on to the Sector Headquarters which communicated it to higher formations till it reached the Army Headquarters. 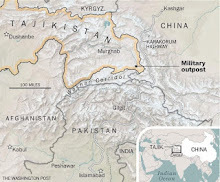 Nobody believed that the Chinese could have penetrated so deep into that area. The presence of this fort was later verified by two fighter planes who took photographs of the position. It became imperative for the Indian Army to establish a post in the region of Despang plains." Yesterday an article in The Telegraph shows that the stakes are today similar to the ones in the 1960s. Air Marshal P.K. Barbora (retired) tells The Telegraph that he was the western air commander when the first fixed-wing aircraft, an Antonov 32, landed at DBO in 43 years ago: "I recall that the Chinese asked for a flag-meeting immediately and objected to the landing but it was a political decision of the government to activate our forward landing grounds and we were executing it” said the Air Marshal. Barbora believes that the acquisition of new American C-130J Hercules transport aircraft that can land on and take off from 'dirt strips' has increased the strategic importance of the Advanced Landing Grounds (ALG). As mentioned earlier on this blog, the IAF has also decided to develop Nyoma as a forward base; it is located some 23 km from the Line of Actual Control: "Nyoma will have hangars and the entire establishment that goes into sustaining and sheltering fighter aircraft." Another Indian base is set at Fukche, located at 14,000 feet, just 70 km from the Aksai road. It appears that China is not happy about these developments, but they can't dictate what India should do on its own territory. In the beginning of 1961, 14 J&K Militia (Ladakhi) was moved to the north and its Headquarters were established at Partapur. It was feared that the Chinese who had already penetrated along the Chip-Chap river might occupy Daulat Beg Oldi before the Indians reached there. At this stage, young Lieutenant Chewang Rinchen had the good fortune of working under the active guidance of another well-seasoned expert in mountain warfare, Major S.S. Randhawa (later Lt. Col). He was not a son of Ladakh but had done a tenure there in the memorable years of the first Indo-Pak confrontation of 1947-48, when he was a Staff Officer to Colonel H.S. Farab. He had then come to have a special fascination for the icy winds, snow blizzards and snow-capped peaks of Ladakh. In his second tenure as a Major (second-in-command) in 14 J&K Ladakhi Militia, he had been the first Indian Army Officer to make recces up to the Karakoram Pass as early as 1960, when the Indian Army adopted the Forward Policy in the region. At his residence in Dehradun which he has named 'Ladhakh House', Lt. Col. Randhawa disclosed that although a British Survey Officer was the first to reach those extreme northern parts and leave behind a memento, it was he — the first Indian — to reach there and discover the same. Major Randhawa who has himself enjoyed every day of his stay in Ladakh in recceing and peak climbing, had been a hard taskmaster professionally. "I owe a lot to well-directed instructions given by Major (later Lt. Col.) Randhawa to be followed strictly, while going out on recces in uncharted wilderness of the Depsang Plains and desolate heights beyond, says Colonel Rinchen today, acknowledging his debt to Lt. Col. Randhawa who earned so well-deserving S.M., A.V.S.M. and, finally M.V.C. for what he had achieved during the years 1960 to 1962 in Ladakh. In August 1961, in pursuance of the Forward Policy, Rinchen was ordered to recce the area in the extreme north and establish a post at Daulat Beg Oldi very close to the Karakoram. The place is named Daulat Beg Oldi after the name of a Yarkandi merchant, Daulat Beg who was caught in a blizzard and died there. Situated 16 km to the south of the Karakoram pass, Daulat Beg Oldi lies in the wilderness of the Depsang plains, at an altitude of approx 5,000 metres. From Leh it is approx 120 km on the silk trade route between Leh and Yarkand. There are two routes from Leh to Daulat Beg Oldi: one which goes via fiver Shyok is the winter route and the other which goes across Saser La is the summer route. Both converge at Murgo. The entire area between Murgo, which is known as 'Gateway to Hell', and Daulat Beg Oldi IS notorious for treacherous weather and snow blizzards. Following the old Central Asian Silk Trade Route, Rinchen, along with one NCO, one signal man, two Jawans and one cook proceeded towards Daulat Beg Oldi (DBO) on a man-pack basis. About 5 or 6 ponies were engaged for carrying ration, ammunition and bedding. The party had a wireless set which was the only means at their disposal to keep in contact with the rest of the world. As the winter had set in, the march proved to be extremely difficult. When the party reached Saser La, it took rest at the base, Tutialak, for two days before crossing the Saser La. However, Rinchen, along with L/Nk Panchok Stobdan and one Sepoy climbed a virgin peak close by, at a height of approx 6,000 metres, without any equipment and oxygen cylinders. They reached the peak by noon and planted a Buddhist flag, 'Tarchok' with the prayer 'Om mane padme hum' meaning 'Oh Jewel in the Lotus' written on it. After spending a few minutes at the top, the small party returned to the base. Next morning, the whole party started climbing Saser La. After crossing Saser La they proceeded towards Daulat Beg Oldi. On the way, they came across skeletons of human beings and animals lying scattered all along the track. On September 3, 1961, which became a memorable date in the career of Chewang Rinchen, he proceeded with a patrol party, along the 'Chip Chap' river. On the second day, he noted the hoof marks of camels and horses and, a little further, tyre marks of a three-ton vehicle. It clearly indicated the possible presence of the Chinese in that area. Along with three jawans, Rinchen proceeded to locate the Chinese post, leaving his ponies and administrative tail behind. The party had to pass through difficult terrain, at times crawling for a few km to reach close to the Chinese water point. Beyond that point, he climbed a small plateau to have a better view of the enemy with his binoculars. Hardly 500 metres away Rinchen could see that the Chinese had established their headquarters in a double-storeyed fort, having two doors and many loop holes. About 300 Chinese were busy making bricks and loading and unloading three three-tonners. The message was immediately passed on to the Sector Headquarters which communicated it to higher formations till it reached the Army Headquarters. Nobody believed that the Chinese could have penetrated so deep into that area. The presence of this fort was later verified by two fighter planes who took photographs of the position. It became imperative for the Indian Army to establish a post in the region of Despang plains. Next day, Rinchen and his party reached Daulat Beg Oldi and met 2nd Lt. Rathore who was informed of the establishment of a Chinese post in close proximity and was warned to be alert and to carry out extensive patrolling. Rinchen was ordered to stay at Daulat Beg Oldi as 2nd Lt. Rathore was to go on leave. In the month of October another platoon commanded by 2nd Lt. Abdul Rahim arrived to relieve the platoon commanded by 2nd Lt. Rathore. The latter was sent back on the backload ponies to the Headquarters at Partapur. In December 1961, Rinchen was relieved of his duties at DBO and was flown in a helicopter to Partapur for another assignment. In early 1962, a recce party was formed consisting of Major Randhawa, Lieutenant Rinchen, along with an engineer, Captain D.S.R. Sahni (later retired as Lt. Gen.) and 15 other ranks, 17 porters, employing 40 ponies/yaks. This was going to be a very long recce. In March, the recce party left Partapur and proceeded along the Shyok river to reach Sultan Chhushku after 15 days of march. From there they followed the course of an uncharted river to enter the Sumdo Valley. The route throughout the march was very difficult and at places they had to cut through the rocky area. On the way, they discovered two passes which they named as 'Rinchen La' and 'Sahni La'. A spring discovered by Subedar Bodhraj was named after him as 'Booh Chumik' on reaching Sumdo after a march of another 15 days, they established a post opposite to one set up by the Chinese in Aksai Chin area. This post set up at a height of approx 4,998 metres was named Jiwan Post. As the journey from Sultan Chhushku to Sumdo was at a great height, it was open to strong gales and snow blizzards. Rinchen's recce party faced great hardships, specially because no supplies were forthcoming through air-dropping. About 70 percent of the pack animals died because of inclement weather and no replacement was available. Major Randhawa later detailed Rinchen on a recce to find out the shortest route between Sumdo and DBO. Rinchen started on the mission along with a coolie named Nurroo of Khalsar one morning on man-pack basis. After walking throughout the day and most of the night, they reached a La at a height of apprx 6,400 metres which was all covered with deep snow. They had to spend a night there as they could not establish their direction. For dinner they had only sattu with cold water which Nurroo got after breaking ice. On waking up next morning, they found that they were actually sleeping very close to a Chinese post. This post was named 'Kidney Post'. Hurriedly, Rinchen changed his direction to reach another Indian post at Jagmag. Next day, they left early to reach DBO. The distance between Sumdo and DBO was 48 km and they took 2 days to cover it. After about a week, Randhawa also arrived at DBO by a longer route. By the middle of 1962, the Chinese had established several posts on Indian territory. 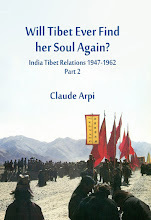 Rinchen's task was to rush from place to place to find out where the Chinese had infiltrated and occupied Indian territory and then to counter-establish an Indian check-post opposite to that of the Chinese. From April 1961 to mid-1962, the number of such posts increased from 13 to 65 although with very poor 'defense potentials'. At best, they could be called 'Flag Posts', the maximum number of jawans being 125 at Daulat Beg Oldi, while the minimum was five at Parmodak. Rinchen's Company Headquarters with a section of 3" mortar were moved to Chandni post. During their recce in the Karakoram range, Major Randhawa came to appreciate that in those inhospitable regions of north-west Ladakh, the means of communication were almost non-existent and the journey from one post to another took a long time. 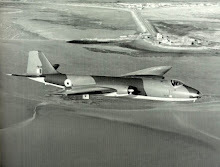 It was, therefore, considered essential to overcome this difficulty of transportation by constructing an airfield through volunteer labour of jawans. It was Sqadron Leader Raje who landed the first aircraft, a Packet, on July 23, 1962, on this airstrip. Before his landing, the marking for the airfield had to be done and this Rinchen did by laying a large number of Jerry cans and skeletons of human beings and animals which lay scattered in the region as a reminiscence of the tragedies that had taken place decades back. So far Rinchen had only carried out recces and established posts at great heights but, after July, 1962, he became involved in encounters, though of a minor character only, with the Chinese troops that came on his way as he moved from one post to another. In the first week of July, 1962, when he was heading a patrol party and arrived at Bona Post, a message was received from Bhujang Post intimating that the Chinese had ambushed the Indian party headed by Jemadar Tara Singh at that post. The party was able to make good its escape but the Chinese captured a few ponies loaded with signal equipment and other stores. Taking a fighting patrol along with him, Rinchen proceeded to Bhujang. On the way he found a patrol strength of Chinese troops picketing in a Nullah to cut Indian communication with Bhujang. 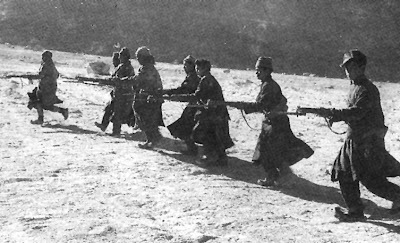 Rinchen and his men changed direction with' the object of taking position on higher ground but the enemy spotted them and opened automatic fire which was effectively returned by Rinchen and his party. …The only access to the Nubra Valley was across the Khardung La. The Nubra-Leh road via Khardong La was still under construction and was not yet open to traffic. 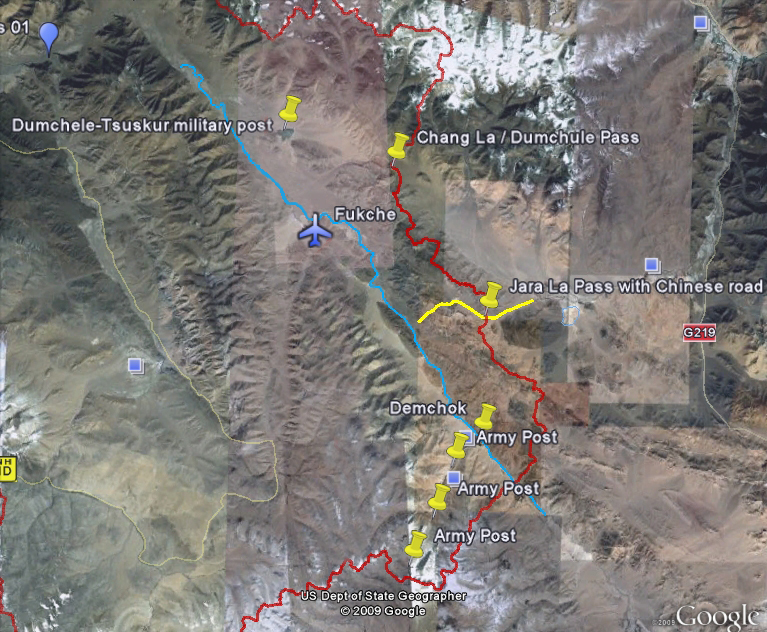 It took four days from Leh to reach the Battalion Headquarters at Baigdangdo. Obviously, the Indian Army units in the region would suffer from the great handicap in matters of adequate and timely logistic support if any worthwhile offensive operations were to be undertaken in that area. 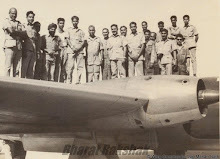 …As conflicts on the border in other areas proliferated and assumed the proportion of a full-fledged war, airflights to Nubra had to be stopped and, as a result, no mail arrived, nor did any fresh supplies. Occasionally, essential stores and mail were received by the land routes across the Khardong La. The only means of communication with Leh was by wireless and the radio. The wireless could hardly enable the people to know what exactly was happening elsewhere across the cease-fire line. It was only through the radio that they learned that Kargil had been in the 'thick of a fierce battle. While Colonel Kapur, the Sector Commander at Partapur, was denied permission to launch an attack on the Pakistani post at Chulunkha- Turtok complex, he was also warned to ensure that the Daulat Beg Oldi Trijunction sector was duly reinforced at the earliest. News also arrived of diversionary activities taken up by the Chinese. As there were cases of minor firing on the north and north-east borders, it became imperative to ensure reinforcement of the DBO- Tri-junction sector immediately. 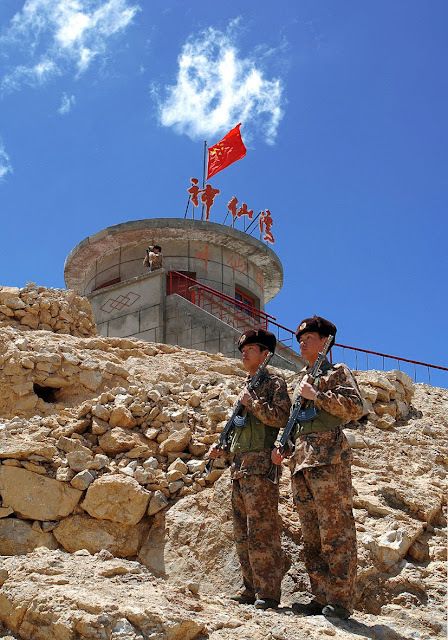 It would have been very risky to take any chances with the Chinese, particularly in view of the treaty signed by Pakistan and China in March 1963. Rinchen was, therefore, ordered to move back to the Tri-junction area on the Karakoram range and join his old Company. It was heartening for his troops to see the Commander also move along with his force, with his tactical headquarters. From Baltistan to Karakoram it was almost 15-day march. Moreover, as the two rivers, on the route, the Shyok and the Nubra were in spate, Rinchen's Commandos were required to cross the river junction at Thulumputi but there were no bridges across the rivers and they had to swim across, which was not only difficult but very risky. Rinchen knew that the risk had to be taken because the question of any postponement was not acceptable. No time was lost in making rafts and rope bridges. On the morning of September 20, Rinchen's forces started crossing the rivers. By three in the afternoon the forces had got across and were ready to move to Saser La. The Commander was exceedingly pleased with the progress. He ordered the forces to rest on the home side of Saser-Brangsa Pass for three hours and have tea and food. At three in the morning the crossing of the Saser Pass was commenced. By 6 am the forces reached Saser post after crossing the Pass. The progress had been simply unbelievable. Rinchen ascribes it to the presence of the Commander who was a source of great inspiration to the Commandos. Never in the past history of Saser Braganza Pass, had any force ever crossed that most formidable and treacherous pass in such a large number and so quickly. Later on Rinchen was told by the Commander that he had made notes on the Saser Pass, when to cross and how to cross. The forces were in position by the evening of September 25. 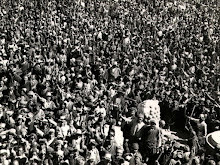 It was on the 20th or 21st September 1965, I was at Baltistan two days' march from my headquarters. Rinchen was holding a defensive position about 15 km from Partapur. I was ordered to move a sizeable force to the Tri-junction facing the Chinese near the Karakoram Pass. I was to take-up positions by the 28th September latest. The normal time otherwise one takes is 15 days. I was under great pressure. Rinchen's willingness and keenness with do or die spirit was a source of comfort to me. I ordered the move. I and Rinchen on the horses and the force in the Shaktiman Truck and in the Jhonga moved with all the speed. We crossed Saser Brangsa Pass at 3 am. On the 4th day i.e., on the 25th September 1965, we were in our battle positions at the Tri-junction. All the time Rinchen was a mighty support to me in my dare-devil ventures. The higher Headquarters too were greatly surprised to receive the information that the force had reached the Trijunction and the Commander himself was in direct command of the operations. By the first week of October the situation was in full control. Colonel Kapur flew back to his headquarters in his chopper. The Chinese were clear in their mind that the Indian Army was n~ the same as it was in 1962. The very presence of a section of Indian troops at the Tri-junction became a symbol of India's bold and courageous stand. It was a warning to both China and Pakistan. China was made to realise that its might 'could not deter us from defending our territorial integrity' (Shastri) and that India meant business and no more followed the policy of 'masterly inactivity' of 1962. It was also made clear to Pakistan that despite all pledges made and all outbursts China could ill afford any material help to Pakistan and could not go beyond 'moral support'. Both Pakistan and China failed to throw India off balance. From the Big Tiger for Nubra Tiger, I am proud of you and your brave Nunnus (pet name for the Ladakhi Soldiers i.e., younger brothers). You all have done a wonderful job. The frontiers of our mother country are safe in your strong hands. I am confident that under your able command you will give the 'Chinks' a befitting reply if they try to be funny this time. Your forced march from Baltistan to Karakoram will go into the annals of the Indian Military History. I wonder if your record of this great speed can ever be matched by any force in any army of the world. Crossing Saser La at a height of apprx 5,640 metres, at minus 40 degree C, is one of the greatest feats of physical endurance and mental robustness. In my active soldiering of 24 years in various battles in North Africa, Razmak and Burma, I have not witnessed such grand soldiering as the one I saw in the last week of September. Well done, shall be seeing you and your boys soon.